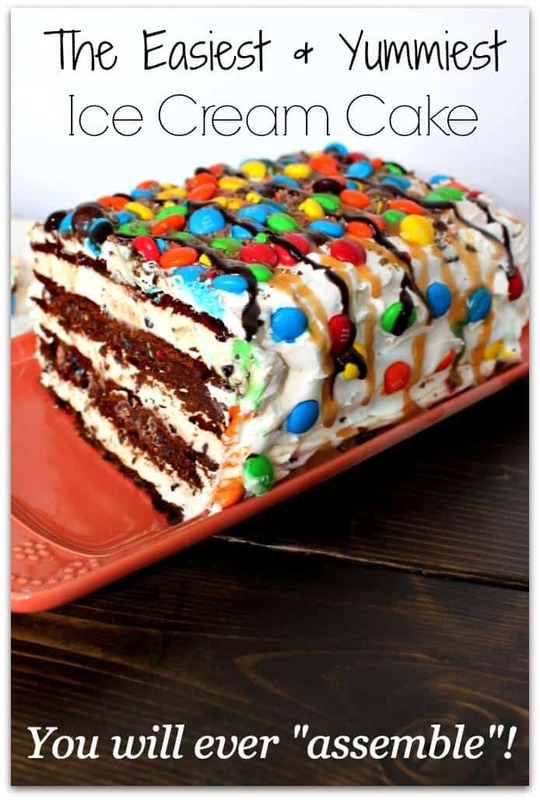 This Ice Cream Sandwich Cake is an easy to assemble, no bake dessert will quickly become an all time family favorite! 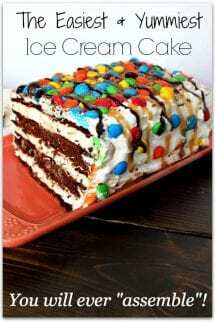 This Ice Cream Sandwich Cake is an honest to goodness show-stopping dessert that you don’t even have to “cook”! It is more about the “assembly” – which I wrote the book on! My cooking is more of an assembly process – or we could even call it a Food Hack!! The part that resembles cooking the most is the fact that you have to mix together Cool Whip and chocolate pudding mix! I kid you not!! If I can make this – ANYONE CAN!!! This recipe is, no joke, one of my most requested desserts from my kids! I honestly love it too. I think the more caramel sauce you put on it the better! If you like easy desserts, another great one is this S’mores Snack Mix. It is made with Golden Grahams and is also super easy to make. It let’s you enjoy the deliciousness of s’mores all year round! 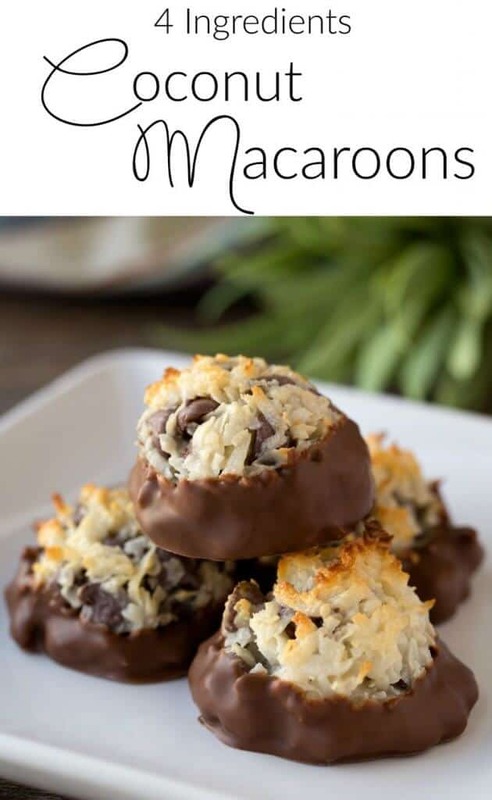 See below for How-To video and Full Recipe! 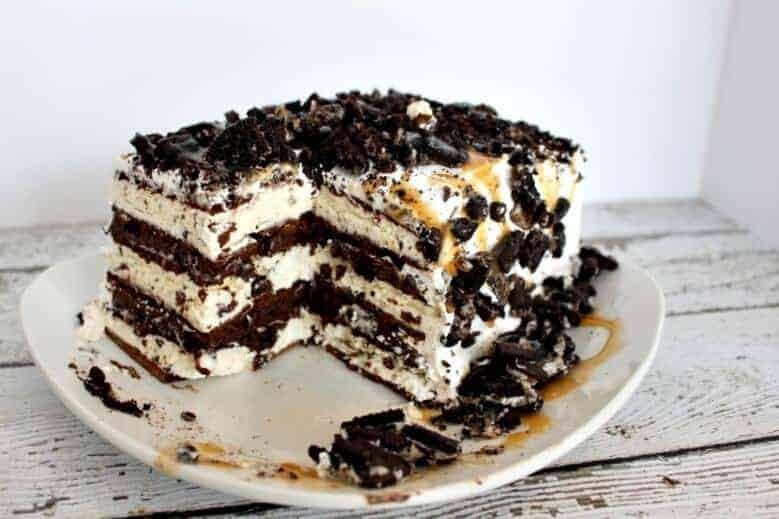 You may have already tried my No Bake Ice Cream Sandwich Cake with Oreo Cookie – which was a huge hit! BUT this M&M version is totally off the hook. 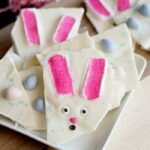 The easiest dessert that I make and my kids just love it. It is a great summer treat when you are entertaining a crowd! This easy to assemble, no bake dessert will quickly become an all time family favorite! WHISK fudge topping and 1 cup Cool Whip in medium bowl until blended. Add dry pudding mix; stir 2 min. Stir in M&M's (I like to leave a little bit of the crushed M&Ms out to sprinkle over the top of the cake). ARRANGE 4 ice cream sandwiches, side-by-side, on 24-inch-long piece of foil; cover with half the Cool Whip mixture. Repeat 2 more layers. Top with remaining sandwiches. Frost with remaining Cool Whip; sprinkle a little of the crushed M&M's over the top and press remaining M&Ms into top and sides of dessert. Wrap loosely with foil. FREEZE 4 hours. 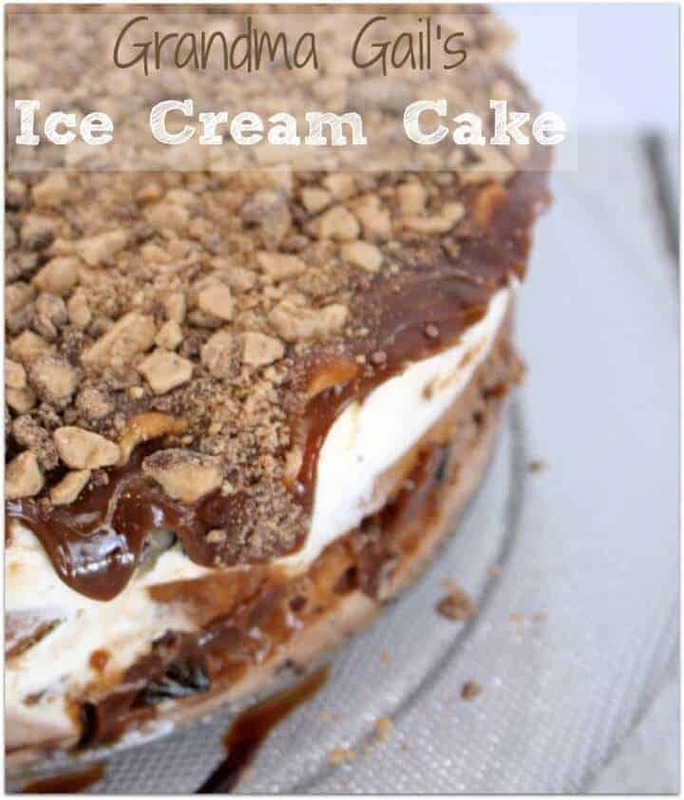 Grandma Gail’s Ice Cream Cake is the perfect dessert for the summer. 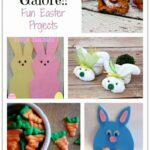 It is very easy to make (of course, because I only make easy things!) and it is beyond delicious! 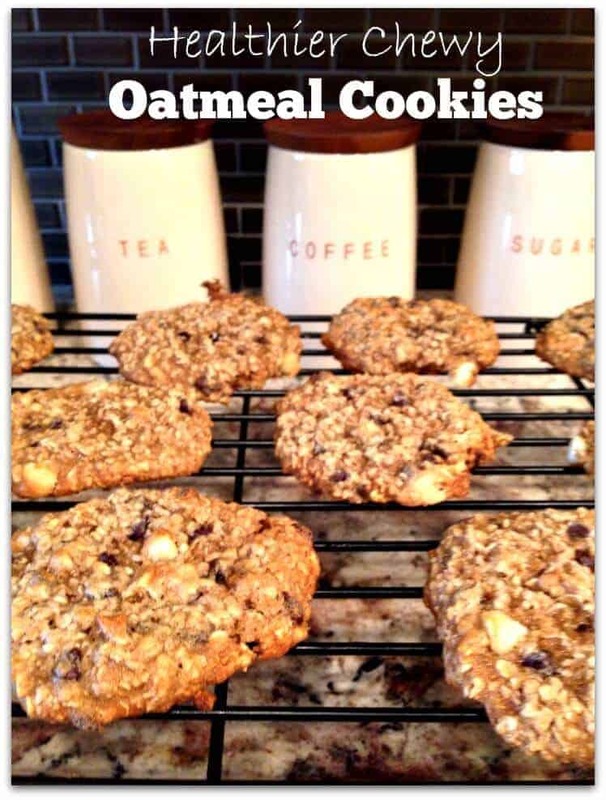 Oatmeal Cookies – these are a healthy-ier version – I am not saying it is like eating your veggies, but it is a better option than your standard homemade cookies! thinking of making this tonight for my boyfriend and i’s anniversary! he loooves ice cream cake and this looks SO much better than a crappy store-bought version. one question – can i use chocolate syrup instead of hot fudge? thanks! How many people do you think this would serve? Do we need to heat up the hot fudge when mixing it with the whip cream??? You don’t have to heat it up first – but it makes it much easier to mix! Hello! Do you use the small or large box or chocolate pudding? Also, can you serve straight out of the freezer, or do you need to let it defrost awhile before eating?